Neckel associates RCW 19 with RCW 20 and gives a joint distance of 3400 parsecs. Kharchenko places HD 69464 in the newly discovered ionising cluster [KPR2005] 45 along with the O-stars DM -35 4384 (O 9.5IV) and DM -35 4415 (O 7 N). (SIMBAD currently assigns B classes to these last two stars.) Humphreys places HD 69464 in the Pup OB3 association along with two other O9.5 IV class subgiants: CP -35 2105 = DM -35 4384 and CD -35 4471. SIMBAD agrees with the class for the second star (the first is one of the stars mentioned by Kharchenko). RCW 19/20 have a joint distance of 3400 pc. Related to the O7f III giant star HD 69464. 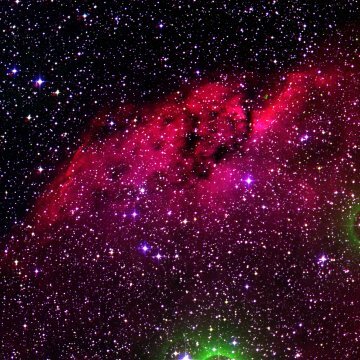 RCW 19 is part of a giant molecular cloud located at a distance of 3300 pc. It has 200 thousand solar masses and is related to the OB association Pup OB3.